MS TCDC is looking for a strong Director of Operations for our vibrant and ambitious social enterprise - a Training Centre based in Arusha, Tanzania. Do you want to contribute to ensuring that the financial and administrative functions of a medium sized training and convening facility are well-managed and retaining the highest standards? ​MS ActionAid Denmark (MS AADK) fights poverty by promoting the political empowerment of the world’s poor. MS AADK supports long-term development work, education programs and campaigns as well as cross border exchange of experience and knowledge between people. Please see further information here (www.ms.dk) The training center located in Arusha, Tanzania, is part of MS AADK. The Centre employs more than 50 full time staff and 60 associates/consultants and provides high quality transformative development training and consultancy services to Action Aid International and other civil society organizations and their partners. The Centre also offers Swahili language and African culture orientation courses, academic programs, rental of conference, lodging and boarding facilities. Please find more information here: www.mstcdc.or.tz. You have the day to day responsibility for all financial and administrative (F&A) matters. You will be responsible for achieving the set goals within F&A including financial, HR or procedural objectives. And you are responsible for ensuring that guidelines and procedures are followed as set by MS AADK, in close collaboration with the Finance Department of MS AADK. You report to the Executive Director of MS TCDC, who has the final responsibility at the executive level. Together with the Executive Director and the Program Director, you make up the Leadership Team of MS TCDC and thus contribute to the overall management and development of the Centre. 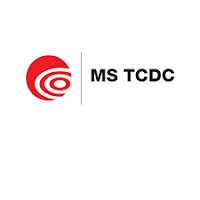 The Operations and Program Directors are jointly responsible for the day to day busi-ness of MS TCDC under the leadership of the Executive Director. You have direct responsibility for a team comprising six operating units/departments, namely Finance, Quality Assurance, Catering, Front Óffice and Course Administration, FacilityManagement and Human Resources. Each unit has a team leader and staff. Prepare and update Budgets in collaboration with MS TCDC departments, including monthly follow-up. Ensure monthly and annual accounts to MS AADK are submitted in keeping with MS AADK standards. Maintain and update cooperation with the Tanzania Revenue Authority. Initiate and monitor the annual audit and supervise the closure of the exercise. Maintain and update guidelines in all areas of MS TCDC. Provide professional assistance and back-up to the Facilities Manager within store management, internal and external procurement for the entire Centre. Strengthen cost-effectiveness and quality of service delivery by the Finance and Administration department of MS TCDC. Update and strengthen staff skills within the Finance and Administration department. Supervise IT implementation and maintenance at MS TCDC, including continued digitalization of administrative matters. Supervise the Security section as the Security Focal Point and act on security issues that can harm MS TCDC. Maintaining and developing HR structural framework, such as personnel reports, yearly staff interviews, oversight over leaves and absence and the like. Handle personnel cases of varying character. Initiate bi-annual negotiations with the local labor union (RAAWU). As Director of Operations you must be prepared to be both hands-on and strategic, i.e. you will be involved in both solving and overseeing concrete tasks and in more overall leadership issues such as business development and strategy development. It will be considered an asset if you have a commercial mindset and have experience from a social enterprise. To fulfill your position, you will need to lead and manage a streamlined operational setup, which supports the program activities of the Centre based on a high level of service and well-functioning systems and structures. But you will also need to contribute to the overall success of the Centre by demonstrating strategic leadership and help develop the business of MS TCDC e.g. by seeking out new growth opportunities in both training offers and in auxiliary areas such as support services and rental of facilities. Degree in Business/Economics, or similar relevant education. Minimum 5 years of experience with financial management, budgeting, and accounting. Experience with personnel administration. Knowledge of Danish Finance legislation and auditing principles. Prior working experience in Africa. Knowledge of development work, intercultural cooperation and conflict resolution. Previous experience in a business enterprise or a training centre. Knowledge of personal data protection as well as IT systems such as Microsoft office, Microsoft Office 365, CRM systems, and Navision. Ability to delegate responsibility and involving employees in decision making and work planning. Cultural and social sensitivity and ability to work and cooperate with a wide range of different groups in a multicultural team. Flexibility and willingness to put in the extra effort when needed. Political and diplomatic flair and entrepreneurial instincts. You are aware of your own efficiency, possess initiative and know how to prioritize tasks, whether these are your own or those of your team members. You work with a positive and open outlook, even in tense, high pressure situations. You see and acknowledge your colleagues and challenge them with constructive criticism, align expectations and reduce waste and bottlenecks. The position based in Arusha, Tanzania, in a dynamic working environment with non-formal atmosphere. A basic salary under AADK international terms and conditions – grade F, relocation and education allowance when relevant. Housing is provided by TCDC. You will live and work in a well-functioning, beautiful and largely cosmopolitan campus. A basic salary in agreement with AAI salary system with a fixed term contract for 3 years, with the possibility of extension. Flexible working hours, ensuring a good work/life balance. ​Please submit your application and resume by February 17th. Should you be invited for interview the 1st round of interviews will be February 20th,and second interviews on the 22nd. We only accept application submitted through our online recruitment system. Please use link/button below.